If there's one thing every Napa wine bus needs, it's, like, eight bathrooms. 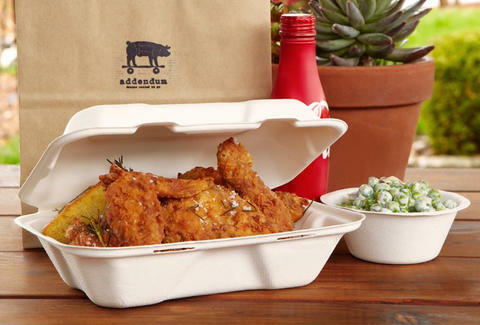 But if there's another, it's to-go buttermilk fried chicken made by Thomas Keller. To wit: just re-opened Addendum, which's once again boxing up both crispy and BBQ'd birds Thursdays through Saturdays at the parklet stall next to Ad Hoc.